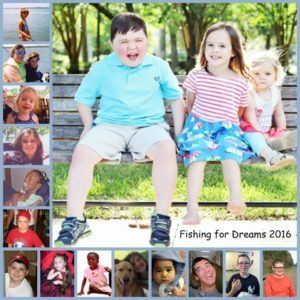 Fishing for Dreams 17th Annual Tournament will be held on April 27th, 2019. Savannah is a kind, loving, spunky 7 year old. She has 3 brothers and 1 sister. Savannah loves playing with her dollhouse and her American Girl dolls. She likes soccer, swimming, and the beach! Savannah enjoys watching movies and playing board games with her family. In November 2017, Savannah was diagnosed with Metastatic Ewing’s Sarcoma—a rare, aggressive bone cancer which had spread to her lungs. Savannah spent the next 10.5 months undergoing intense chemotherapy and radiation. Due to the intensity of her treatments Savannah spent most of that time inpatient at Wolfson Children’s Hospital. 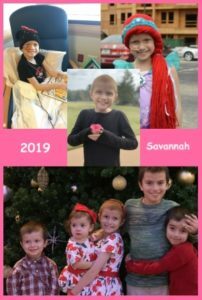 Savannah recently finished the maintenance phase of treatment for the clinical study she is participating in on March 7th. Savannah has not let her diagnosis, treatment, or side effects take away from her love for life. She is always up for having fun! She loves to help other children process and cope with the challenges that come with being diagnosed with childhood cancer. 1st D Brown 7.33 lbs. D Lundquist 3.01 lbs. J Hill 2.18 lbs. 2nd J Taylor 7.22 lbs. R Harris 2.75 lbs. D Drury 2.06 lbs. 3rd R Mackey 6.94 lbs. D Nelson 2.45 lbs. B Hudson 1.30 lbs. 4th B Morse 6.79 lbs. T Whitfield 2.32 lbs. B Carey 0.97 lbs. 5th J Colvin 6.78 lbs. T Loveday 1.77 lbs. J Mugrave 0.93 lbs. Established in 2003, FFD is a non-profit charitable organization who supports local children with life threatening medical conditions and families with special needs. A group of folks who love to fish were holding tournaments just for fun but decided to fish for a cause. Thus, FFD was established. 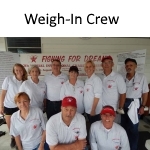 An inshore invitational tournament was FFD’s major yearly fundraiser. This years tournament was held on April 7th. Categories for fish are: Red bass, spotted seatrout and flounder. The evening before fishing commenced, the event kicked off with a pizza social followed by the introduction of our Dream Family. The angler meeting and raffle followed. Fishing began the next morning and continued until 4 p.m. Following the weigh-in, the tournament concluded with an awards ceremony. Children are referred to FFD by Community PedsCare. Community PedsCare is a pediatric palliative and hospice program for children with life-limiting and life-threatening conditions. A program of Community Hospice of Northeast Florida in collaboration with Wolfson Children’s Hospital, Nemours Children’s Clinic and the University of Florida-Jacksonville, Community PedsCare offers support, comfort and care to these children and their families. FFD is an all volunteer organization.